If you missed the full Part Five of my love story, read it HERE. If you missed Part Four, read it HERE. If you missed Part Three, read it HERE. If you missed Part Two, read it HERE. If you missed Part One, read it HERE. Here is Part Six…The finale! When Stevie and I met, I was actually dating (lots) of other people. So even though I was really into him, I didn’t pursue him that hard...at first. Then, a few weeks later, we met at our same mutual friend’s party. Stevie and I had messaged each other a bit on Facebook, but nothing much more than that. But I was really into him, and I wanted to go on a date. So at this party, I actually asked him out! We had plans to go to the movies the next week. The next week, I texted him to confirm the time and location of the movie, and he replied back to tell me that things had gotten more serious with someone else he was dating, and that he couldn’t go to the movies with me. I was totally crushed. I really thought we had something special, but my roommate comforted me by telling me I had just dodged a bullet, and I believed her. A few weeks later, I heard through the grapevine that Stevie and this other woman hadn’t worked out. He was also having a combined birthday party with the mutual friend I’d met him through and another friend. The party was at a karaoke bar about a 30 minute walk from my house in DC. It was rainy and I really didn’t want to go. I only knew Stevie and a few other people, but I knew Stevie would know most the people there, so I thought socially I’d feel really uncomfortable. So I dragged myself out and went to the party. Our first date turned into a second date, but the day after our second date, I left for a three week trip to Tanzania. My sister was in the Peace Corps, and I had had this trip planned for months to visit her. Now, three weeks out of the country and without much internet access, it’s easy for any budding relationship to die off, if for no other reason other than bad timing. Before, I would’ve been anxious about being away for three weeks. I would’ve obsessed over Stevie, what he was doing, if he was seeing anyone else, and if would date when I got back. Even though I was frustrated about the timing, I had a deep, inner knowing that we were going to date when I got back, and that this would be it. IMPORTANT – this was a different feeling from early stages in relationships before this one. Before, I’d fantasize about our relationship and getting married. He had remembered when I was coming back! That’s when I knew for sure this was going to be something good. We had been dating for about a year when we moved to Dallas. It was a huge risk because I wasn’t totally in love with the idea of Dallas, I was starting a business, and I was moving halfway across the country to live with my boyfriend, who I’d never lived with before. Looking back, it was a little crazy, and I won’t lie, that first year in Dallas was a bit rocky. But we made it. And about a year ago, we took a trip to Denver because we wanted to leave Dallas, and Denver was a city we were considering moving to. We had an amazing trip, and on our trip Stevie popped the question, and you know the rest. We just got married, and honestly, I have to pinch myself sometimes. I live in my dream city, I have a meaningful relationship, I have a thriving business, and I have the cutest puppy in the world (but of course, I’m biased.). But as you can tell, it wasn’t always a walk in the park, and there were some really low lows. It took a lot of work and patience, and taking a few steps. Most importantly, through it all, my desire to learn and grow never died. Stevie and I don’t have a perfect relationship (because perfect doesn’t really exist). We fight, sometimes I nag (sorry Stevie! ), and sometimes he gets impatient with me. And we still have things that we’ll probably never agree on. We love each other and we’re both willing to put time and effort to learning and growing. He’s not who I thought I’d end up with, but he’s everything I need. I realized that once I stopped trying to “get” what I needed, but instead, allowed what I needed to come to me. Most importantly, he supports me, he lifts me up. Through my entire entrepreneurial journey, he’s the only person that’s never doubted me (including me, because I’ve had lots of self doubt moments), which is pretty significant considering he was the one supporting me financially during the early years of my business. So that’s it. That’s my love story. The best part about this love story is that it isn’t over. Maybe that’s the problem with our society. 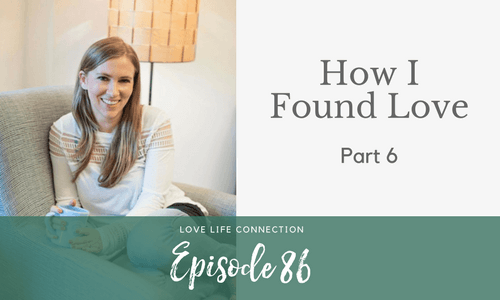 So much emphasis is on the idea of finding a husband or getting married. And then boom, done. Hard work over. But a relationship runs deeper than that, and who cares about a husband or a wedding if it isn’t a happy marriage. My dream for you is to find a great love. One of my favorite podcasts is Marriage is Funny because their message hits home for me so hard. It’s not about a perfect love, it’s about striving for great love. I hope you’ve enjoyed reading my epic love story as much as I enjoyed telling it to you! And I hope you’ll join me in the Date Yourself Challenge. 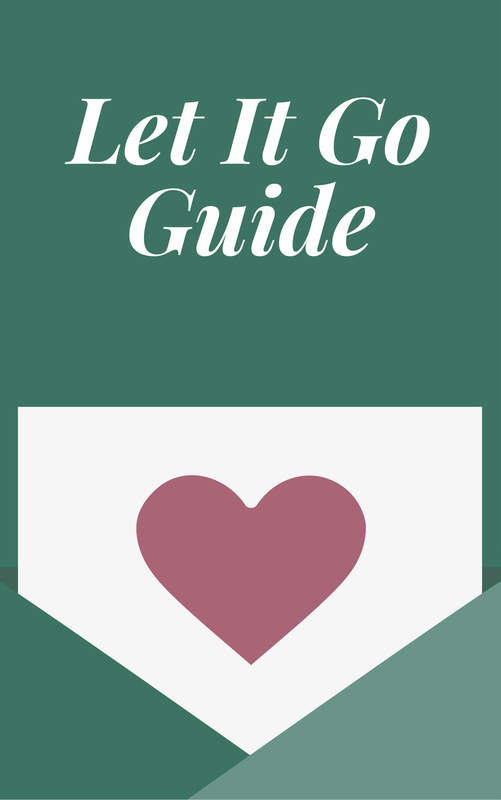 It’s coming up (we start Monday), and I know it can help you learn how to confidently put yourself first, discover your love blocks, and communicate what you need and want to your partner. It’s not rocket science, but it does require getting support and surrounding yourself with a community who gets it. 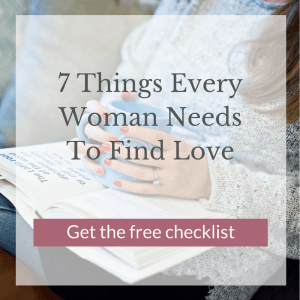 Each day for seven days, I’ll send you a quick and easy challenge to do to help you get the breakthroughs you need to find love. You can spend a few minutes on each challenge or an hour or more, so it’s totally on your schedule. It’s free, it’s fun, and this time around, I’ve added some totally different challenges. So even if you’re a challenge alum, there’s a lot new stuff coming your way. Click here to join us. Once you join us, make sure you follow me on Instagram, which is where the party will be when the challenge gets started. Can’t wait to play with you for seven days! PS – The link to sign up for the Date Yourself Challenge is here!